Beautiful decorated townhouse in the sough-after Pemberley subdivision in Apex. 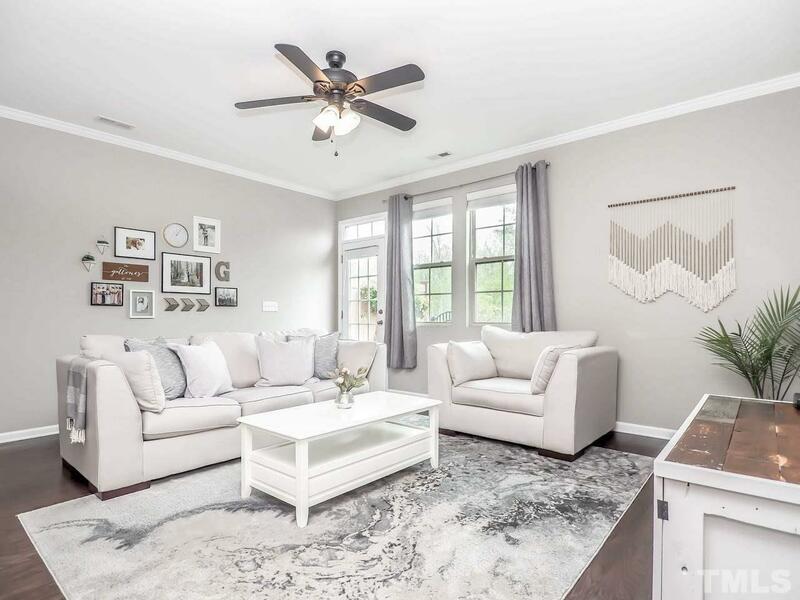 This adorable home has all the bells & whistles one would want in today's home styles: engineered hardwood floors, updated kitchen w/stainless steel appliances, granite counters, subway backsplash in herringbone style, board & batten detail in dining area & foyer + crown molding. Private patio w/fenced yard overlooks pond. Nest thermostat & keyless entry lock for the latest in home technology. Neighborhood pool & playground!